Looking for outlets for selling mill residues this year? 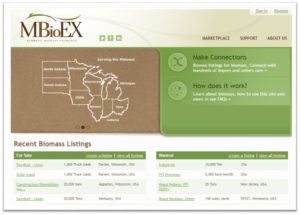 Check out the updated Midwest Biomass Exchange – a free online marketplace designed to help buyers and sellers of woody and agricultural biomass. 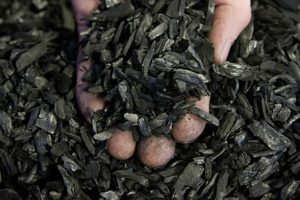 Users can place ‘For Sale’ and ‘Wanted’ ads for selling biomass that can be used as fuel for heating and power generation, or as feedstock for other manufacturing processes. The site is hosted by Heating the Midwest, Inc., a non-profit organization dedicated to promoting the use of woody and agricultural biomass for thermal energy and power. Updated from the old Minneapolis Biomass Exchange, the new site focuses more closely on biomass that can be used for fuel, and on serving the Midwestern area in the USA and Canada. For more information, visit the site or contact Dave Neumann at neumannd@michigan.gov. Wisconsin Department of Natural Resources – Division of Forestry and University of Wisconsin-Wood Products Extension will be conducting a survey with Wisconsin’s secondary wood products manufacturers. This survey will be used to update the Wisconsin Wood Users Industry Directory. The directory, last updated in 2009, is not currently available, but we plan to have the updated version online at our forestry products section of the DNR website. 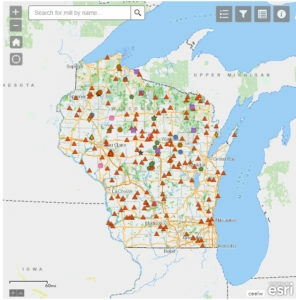 The goals of this survey are to determine the impact of the secondary wood industry on Wisconsin’s economy, update the Wisconsin Wood Using Industry Directory, determine residue availability, and develop an understanding of educational and training needs for the success of your business. If you are a secondary wood manufacturer, please be on the lookout for a survey to arrive in the mail over the next few weeks. If you do not receive a survey and would like to be part of the directory, please contact Scott Lyon at scott.lyon@wisconsin.gov or (920) 360-3722.